Did you catch my post last week? If not, check it out here as I introduce the theme for this year's National Nutrition month which is “Take the Fight out of Food!” This year dietitians across this great country are helping Canadians improve their relationship with food, to ultimately put an end to the struggles associated with everyday eating and turn it into a more joy-filled experience. Let’s look at a fictional case study of a family struggling with a picky eater. Debbie and Daniel have three children, Owen who is 5, Emily who is 3, and baby Oliver who is 5 months old. Currently Debbie is at home on maternity leave and Daniel works a full-time job. Daniel leaves for work early in the morning so that he can be home by 5:00 to help with suppertime. It has been stressful for Debbie to feed the children on her own at supper, especially since their oldest son Owen is a very picky eater. Debbie and Daniel are both frustrated with Owen’s picking eating, and have been for the past year. They feel that his poor eating habits are starting to rub off on Emily, who is naturally an adventurous eater. Owen picks at his food, or doesn’t touch it at all (especially if it is something new and he refuses most vegetables) and then asks for a snack 20 minutes later, usually cereal or toast with jam is requested. Daniel feels bad that Owen hasn’t eaten anything and so he usually yields to his request. Emily has now observed that Owen gets a snack after supper and so she too has now started to refuse her supper so that she can have the same snack. Debbie is frustrated with the entire situation and tired of putting in all the effort to make a nutritious meal that hardly anyone is eating. Both parents often end up talking about Owen's picky eating at the dinner table and Emily now calls Owen "picky-icky Owen". Let’s use the 3-step approach to get to the root source of this problem and find out what can be done to help Debbie and Daniel. Debbie and Daniel are struggling with how to get their oldest son Owen to try new foods and eat his meal at suppertime. 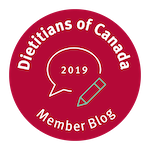 Let's look at some evidence-based facts on the topic of picky eating and the various roles of parents and children when it comes time to eating. Picking eating is a familiar struggle for many. Research shows us that upwards of 25-35% of parents with toddlers and preschoolers define their children as picky eaters. This percentage can be as high as 50% depending on the definition of “picky eater” used in the various research studies. Debbie and Daniel are not alone! Debbie and Daniel have been able to carve out time to sit down together at the table for a family meal. This is fantastic! Eating as a family gives children the opportunity to learn by imitation (monkey see, monkey do) and promotes healthier weight for children, and teenagers. I realize that not all families can re-arrange their work schedules to eat supper together but think about another meal that might work – breakfast or bedtime snack even! As parents, our role is to provide healthy food for our children to eat and to determine when and where that food is offered. Daniel and Debbie are providing healthy home-cooked meals and deciding where that food is eaten (at the table). Most of the time they are dictating when the food is eaten ... except after supper when Owen's demands win out. Allowing Owen to eat 20 minutes after a meal is not helpful for him or his parents. Instead, Debbie and Daniel should stick to offering food at set times (i.e. 3 meals and 2 planned snacks). If he is hungry between those set eating times, he can be re-directed towards another activity or encouraged to eat more tomorrow at supper. It would also be good for them to evaluate how much food Owen is eating at snack times, specifically for his after-school snack. If he is eating a lot, or his snack is too close to suppertime, he may not be hungry for supper. Debbie may want to take this snack out of his schedule or significantly reduce the size. It is the child’s job to determine if he or she is going to eat and how much. Therefore, in this case, it is Owen’s job to decide if he is going to eat and how much he will eat. This concept can help Debbie and Daniel to realize that they do not need to beg and plead with Owen at the dinner table. Instead, gentle encouragement to try new foods can be offered but they do not need to bribe, coax or wrestle. This allows for a much more relaxed meal, one where the conversation can focus on topics unrelated to food. Two-thumbs up to Debbie for making a home-cooked meal! Eating at home is not only healthier than eating out, it also provides children an opportunity to help with food preparation, which gives them additional exposure to new foods. 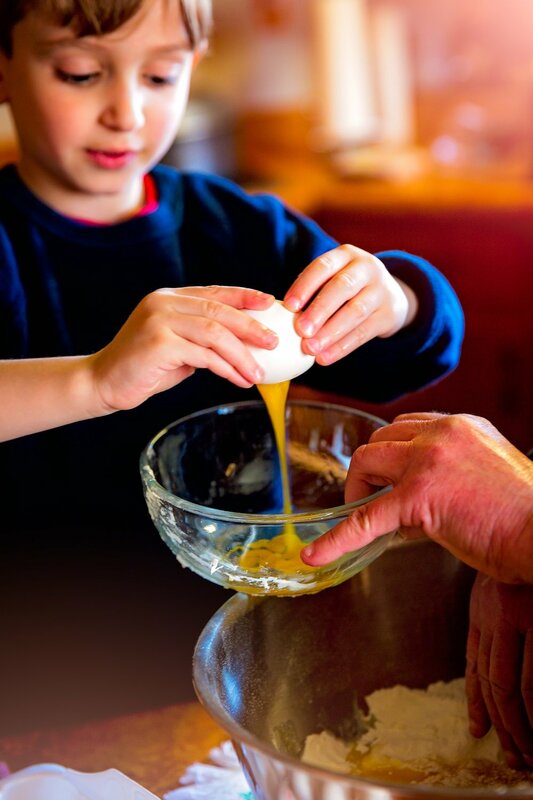 Getting your kids in the kitchen does produce a lot more mess than if you just made supper on your own, but this additional exposure will encourage them to try the foods that they helped to prepare at the dinner table. Debbie might even consider purchasing small chefs aprons for Owen and Emily to get them really excited about helping in the kitchen. An age-appropriate job for Emily might be to let her wash the vegetables and Owen could help stir ingredients together. Children may need several opportunities to taste a new food before they begin to eat it. By this I mean that you may need to make the same dish or vegetable a number of times over the course of a month or two ... or six, but each time you sit down together to eat, you're giving your child another opportunity to taste the item again. I am not even going to suggest a number of times this may be required before you'll break through because it varies so greatly depending on the child. Debbie should rest in the confidence that her continued attempts at exposing Owen to various foods and involving him in the preparation of the meal will eventually pay-off. Resist the urge to make two separate meals. Debbie is doing well so far! Short-order cooking does not help anyone! No one likes to be labelled. Debbie, Daniel and Emily are all calling Owen a “picky eater”. Chances are Owen’s aunts, uncles, cousins and grandparents are as well. Children are quick to internalize labels and live up to the expectations of that label. The more that Owen is labelled a picky eater, the more he will believe that he is a picky eater and carry out defining actions. Debbie and Daniel need to stop calling Owen picky and try reframing the situation in a positive light, such as encouraging Owen that he is a “learning eater” and that he is in the process of learning to like a lot of new foods. All of Owen’s extended family and friends need to get on board with this change in vocabulary as well! Debbie should not feel alone in her dinnertime struggles, and neither should you! With over twenty years of combined clinical pediatric experience, I, along with my Occupational Therapist partner Donna, can help you identify your mealtime battles, and teach you strategies, that if implemented with a loving and consistent approach, will work to significantly improve your child’s eating habits. Check out our Feeding Team page to learn more about what we can do for you! We develop customized plans tailored to each child’s unique situation so that you only pay for the services that you need. Furthermore, we try to stack your appointments so that you can see both myself and Donna the same day, if possible, to save on trips to and from health care providers. ...and remember, I am a parent too, and I'm not perfect! And let me end by saying, I am not oblivious to mealtime struggles with a youngster. In fact, I have a picky, or as I prefer to say "learning eater" in my home, as well as an adventurous eater. And through my family's own trial and error and with A LOT of patience AND consistency, I have learned that employing my own advice has worked ... it just takes time!! My heart was oh so happy one night this past fall when my son turned to his sister and said "That's ok if you don't like that food, you just haven't tried it enough." After having repeated that phrase at least a million times at the dinner table, it had finally set in. With my shift in mindset, I can now enjoy meals without fixating on what is being eaten and instead share in the laughter with the rest of the gang. From one parent to another, I will end by reminding you that you don't have to journey alone. I am here to help give you a plan to get your feet back on the ground and to reclaim your supper hour with laughter, not tears. Let's start today. Taylor, C.M., et al. Picky/fussy eating in children: Review of definitions, assessment, prevalence and dietary intakes. Appetite 95, 349-359, 2015. Leung, A.K.C. et al. The 'picky eater': The toddler or preschooler who does not eat. Paediatric Child Health 17 (8), 455-456, 2012. Le Billon, K. Getting to Yum: the 7 secrets of raising eager eaters. HarperCollins Publishers Ltd, 2014.